Coming March 21st, 2014, inFAMOUS Second Son, a PlayStation 4 exclusive, brings you an action adventure game where surrounded by a society that fears them, superhumans are ruthlessly hunted down and caged by the Department of Unified Protection. Step into a locked-down Seattle as Delsin Rowe, who has recently discovered his superhuman power and is now capable of fighting back against the oppressive DUP. Enjoy your power as you choose how you will push your awesome abilities to the limit and witness the consequences of your actions as they affect the city and people around you. ©2014 Sony Computer Entertainment America LLC. 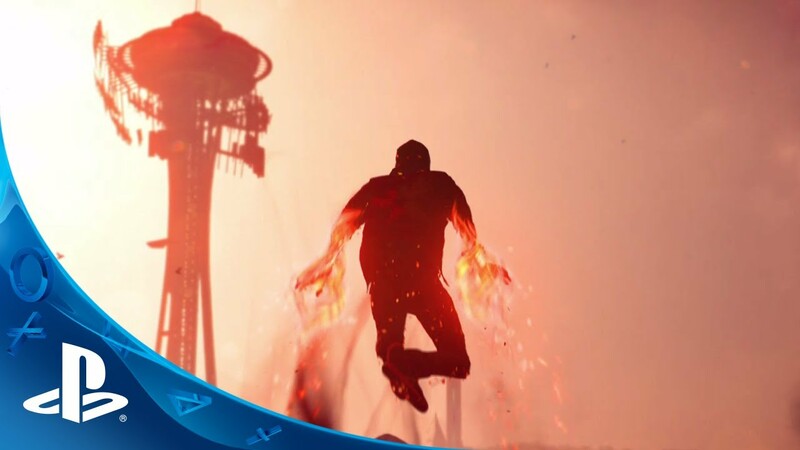 inFAMOUS Second Son and Greatness Awaits are trademarks of Sony Computer Entertainment America LLC. Developed by Sucker Punch Productions, LLC. The Sucker Punch logo is a trademark of Sucker Punch Productions, LLC. The Space Needle is a registered trademark of Space Needle LLC and is used under license. "PlayStation" and "PS" Family logo are registered trademarks and "PS4" is a trademark of Sony Computer Entertainment Inc.